Bruce E. Jameson : Prickett, Jones & Elliott, P.A. BRUCE E. JAMESON represents Delaware companies and their directors, officers, managers, founders, stockholders and investors in matters concerning governance, fiduciary duties and complex commercial and contract issues, with emphasis on rights and obligations arising from the Delaware General Corporation Law, Delaware LLP Act, and Delaware LLC Act. 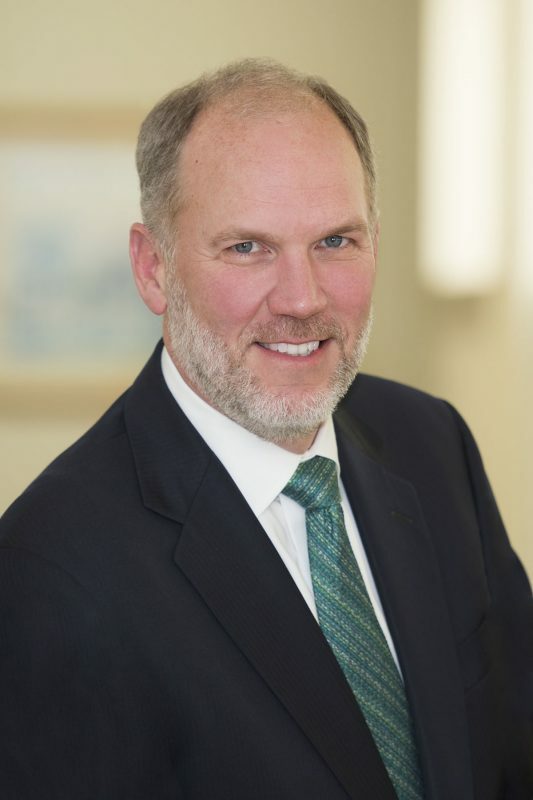 He appears regularly before the Delaware Court of Chancery as well as the Delaware Superior Court Complex Commercial Litigation Division, Delaware Supreme Court, Federal Courts and arbitration groups. Mr. Jameson also counsels and represents clients in connection with complex transactions such as mergers and acquisitions that implicate corporate and alternative entity governance matters. Mr. Jameson is a member of the Corporation Law Council of the Delaware State Bar Association, which regularly reviews and proposes updates to the Delaware General Corporation Law. He also Chairs the Delaware Board of Bar Examiners and is a member of the Commission on Law & Technology. Mr. Jameson joined Prickett Jones in 1991 and was named a director in 1997. He also serves as general counsel to the firm. OptimisCorp v. Waite, 2015 WL 5147038 (Del. Ch. Aug. 26, 2015). Defense judgment after trial obtained for former Chief Financial Officer charged with breach of fiduciary duty and similar claims. Grunstein v. Silva, et al., 2014 WL 4473641 (Del. Ch. Sept. 5, 2014). Obtained defense judgment after trial for acquirers of a nursing home company in a $2 billion transaction who were charged with breach of contract and similar claims arising from the acquisition. In re Wayport, Inc. Litig., 76 A.3d 296 (Del. Ch. 2013), Obtained partial judgment after trial for founder, stockholder and former chief executive officer of corporation alleging breach of fiduciary duty and fraud in connection with stock sale transactions to corporate insiders. Colgan v. Apollo Healthstreet, Inc., C.A. No. 6904-VCN (Del. Ch.). Representation of former owners and officers in action seeking advancement against acquiring corporation arising from various actions filed against the clients in their capacity as former officers. RWI Acquisition LLC v. Todd, 2012 WL 1955279, (Del. Ch. May 30, 2012). Obtained partial dismissal and complete stay of action for defendants in declaratory judgment action brought by a Delaware LLC against one of its initial members. W.J. Garrett Trust v. Byrne, et al., Cause No. 2011-71702 (District Court of Harris County, Texas; 157th Judicial District). Representation of special committee members in a litigation arising from the acquisition by Energy Transfer Partners L.P. of a subsidiary of Southern Union Company for approximately $2 billion as part of the overall acquisition of Southern Union by Energy Transfer Equity, L.P.
Brevet Capital Special Opportunities Fund LP v. Fourth Third LLC, et al., 2011 WL 3452821 (Del. Super. Aug. 5, 2011). Contract dispute filed in the Delaware Superior Court Complex Commercial Division arising out of acquisition of a participating interest in a $75 million loan facility. Grayson v. Imagination Station, Inc., 2010 WL 3221951, (Del. Ch. Aug. 16, 2010). Represented stockholder and founder of corporation challenging interested transaction whereby the chairman of the board obtained majority ownership. Metcap Securities LLC v. Pearl Senior Care, Inc. et al., 2009 WL 513756 (Feb. 27, 2009). Summary judgment obtained for acquiring entity sued in connection with the relevant acquisition. Krupa, et al. v. Comprehensive Neuroscience Inc., 2008 WL 2737766 (Del. Ch. June 30, 2008). Representation of Special Committee members in litigation. Henkel Corporation v. Innovative Brands Holdings, LLC, 2008 WL 4131566 (Del. Ch. Aug. 26, 2008). Represent seller in seeking to enforce asset purchase agreement where buyer asserts existence of a material adverse event. Jackson Walker, L.L.P. v. Spira Footwear, Inc., 2008 WL 2487256 (Del. Ch. June 23, 2008). Obtained summary judgment in favor of a Texas law firm seeking advancement of defense costs pursuant to the terms of a by-law provision of the defendant Delaware corporation. Energy Partners, Ltd. v. Stone Energy Corp., 2006 WL 2947483(Del. Ch. Oct. 11, 2006). Defense of party to merger agreement regarding interpretation of agreement, and in related litigation arising from a hostile third party tender offer. Gildor v. Optical Solutions, Inc., 2006 WL 1596678 (Del. Ch. June 5, 2006). Enforcement of stockholder preemptive rights. Anglo American Securities Fund L.P. v. S.R. Global International Fund, L.P., Del. Ch., C.A. No. 20066, (2006 WL 1494360 and 829 A.2d 143). Defense of hedge fund limited partnership and its general partner in an action by limited partners alleging breach of the limited partnership agreement, breach of fiduciary duty and fraud. Fasciana v. Electronic Data Systems Corp., 829 A.2d 178 (Del. Ch. 2003). Defense of corporation against claims for advancement by its former outside counsel. Reddy v. Electronic Data Systems Corp., 2002 WL 1358761 (Del. Ch. June 18, 2002). Defense of corporation against claims for advancement by former officer. In re Reliance Securities Litig., 135 F. Supp. 2d 480 (D. Del. 2001). Representation of officers and directors against claims brought by investors in connection with a spinoff transaction. In re Pennaco Energy, Inc. S’holders Litig., 787 A.2d 691 (Del. Ch. 2001). Successfully defeated suit seeking to enjoin tender offer by Marathon Oil for all shares of Pennaco Energy. Kallop v. McAllister, 678 A.2d 526 (Del. Supr. 1996), Obtained judgment after trial for 50% stockholder, principal and descendant of company’s founders declaring that other stockholder had effected the transfer of one of his shares to the company thereby retaining equal ownership between the two owners. Chair, Board of Bar Examiners of the Delaware Supreme Court (member since 2012; appointed Vice Chair in 2015 and Chair in 2016). Member, American Bar Association and Sections on Business Law and Litigation. Member, Delaware Bar Association and Section on Corporate Law. Technology Competence for Lawyers: Not an Oxymoron, Del. Law., (Fall 2014). Top Rated Business/Corporate Attorney in Delaware Super Lawyers 2016.